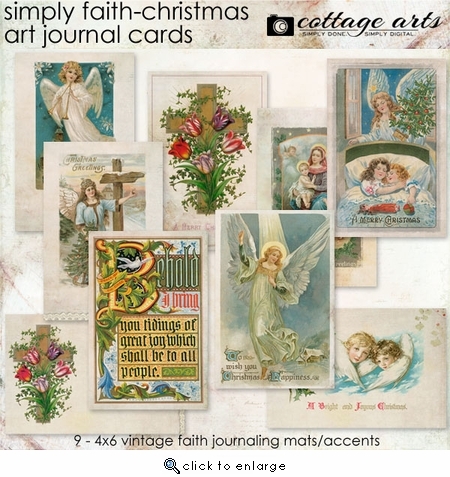 Our Art Journal Cards are beautiful accents, as well as useful journaling space for your digital artwork. Use in a multitude of ways, including Project Life, hybrid scrapbooking, and as printed art for framing. Includes 9 - 4x6 Christmas and faith inspired journal mats. No drop shadows included. All in .jpg format...perfect for everyday use! Print as 4x6s at your local print lab for hybrid art or Project Life.